There are around 400 million people worldwide who are clinically obese, not including another one billion or so who are overweight. 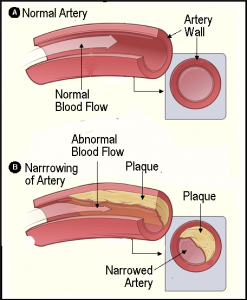 The more obese or overweight you are, the more likelihood you will develop atherosclerosis, a con­dition that will eventually lead to coronary heart disease (CHD), also known as ischemic heart disease. In the UK, of all deaths related to obesity or excess weight, seventy percent were from coronary heart disease, twenty percent from cancer, the rest from other obesity-related diseases. In the US, it is estimated that every year around 112,000 excess deaths are due to obesity-related cardiovascular disease, with around another 50,000, like type-2 and cancer, directly related to obesity. Can you lower the risk? Yes, you certainly can. A change to a healthier lifestyle including a healthy calorie controlled diet and some form of exercise will help in avoiding coronary heart disease. Reducing your weight by as little as ten pounds can help protect your heart from atherosclerosis by reducing bad cholesterol, thereby reducing the risk of cardio­vascular disease and its complications. Regardless of whether you are overweight or not, a healthy diet and exercise is essential in keeping you and your heart healthy. how’s the relationship between your diet and your heart? In posts Fat – The Heart of the Matter: 1 and 2: Fat – The Heart of the Matter: 1 and Fat – The Heart of the Matter: 2 we talked about the damage excess fat in your diet can do to your heart and also to your health in general. It is a major concern among the medical profession that non- alcoholic liver cirrhosis, mainly caused by excessive con­sumption of dietary fat, is on the increase and could eventually overtake that caused by alcohol. In the tables below I have tried to demonstrate how, with a little thought and effort, you can convert a high-fat diet into a more healthy one, and at the same time reduce your calorie intake, lose weight and reduce the risk of coronary heart disease. I must stress that these two different diets I have created are only examples to illustrate the difference between high- and low-fat diets. They can be used if you so wish but I cannot accept responsibility or liability for any claims arising from their use of. I have tried to be as accurate as possible with all the figures quoted, but they may vary slightly depending on different producer’s recipes or the area where the food was grown. 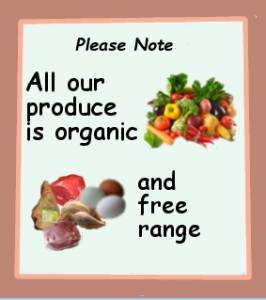 Where possible buy free-range poultry and eggs, and meat where the livestock have been allowed to graze naturally, this will virtually ensure that, not only is the meat far leaner, but will also contain more nutrients than that produced from battery-reared poultry or livestock caged in pens and fed artificially. As I always advise, before starting on any weight loss, fitness or dietary program, whether it be low-fat, low-protein, low-carb, low-calorie, or any other, please consult your GP or other suitable qualified persons. This is extremely important if you feel that you may have any unpleasant reactions after eating certain foods, as there are many people who suffer from food intolerance such as gluten, lactose and, yes, fat! I hope you found Diet – Heart, interesting, and how, by leading a healthy lifestyle, you can reduce the risk of coronary heart disease and other cardio-vascular diseases.